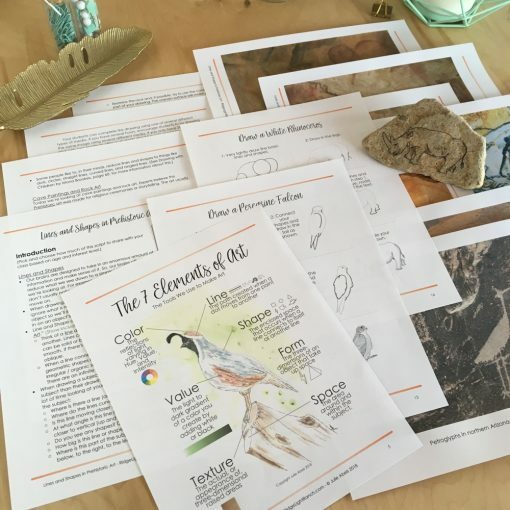 Introduce students to the Prehistoric art of Cave Paintings and Rock Art while teaching them about Lines and Shapes, two of the 7 Elements of Art. 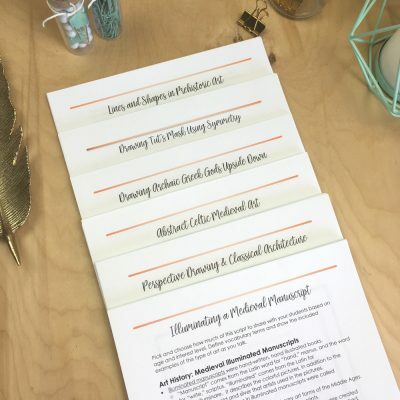 This lesson plan introduces the 7 Elements of Art and dives deeper into Lines and Shapes using the prehistoric art of cave paintings and rock art as examples. 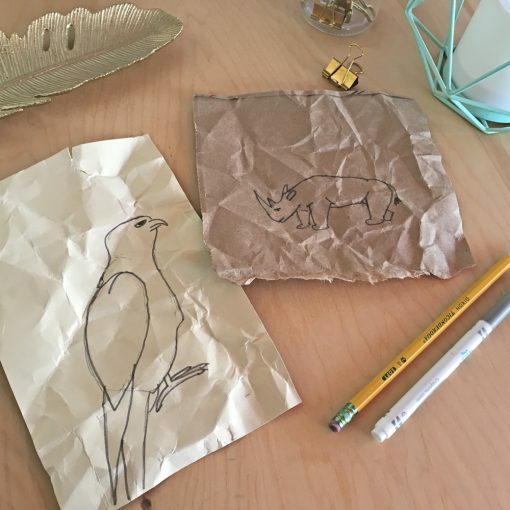 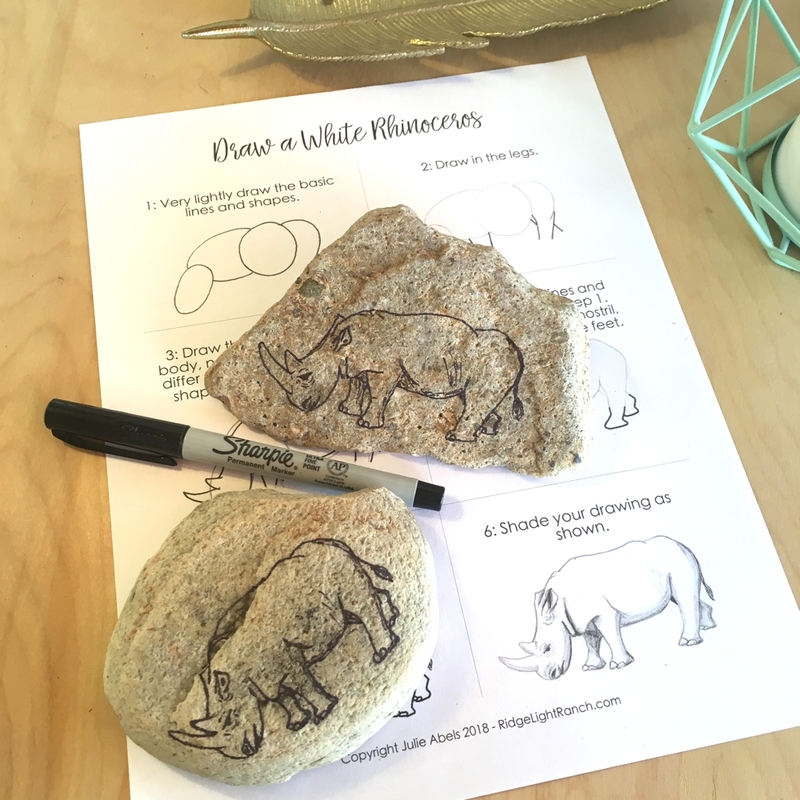 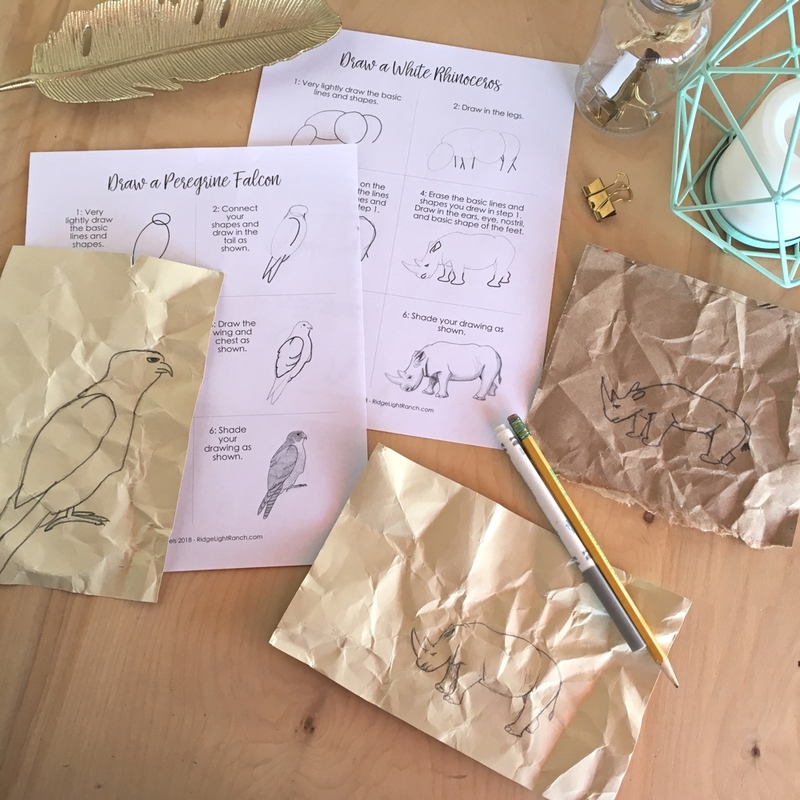 Students will practice creating art with lines and shapes on an uneven surface (similar to rocks and cave walls) by drawing on paper that has been crumpled into a ball and then flattened back out! 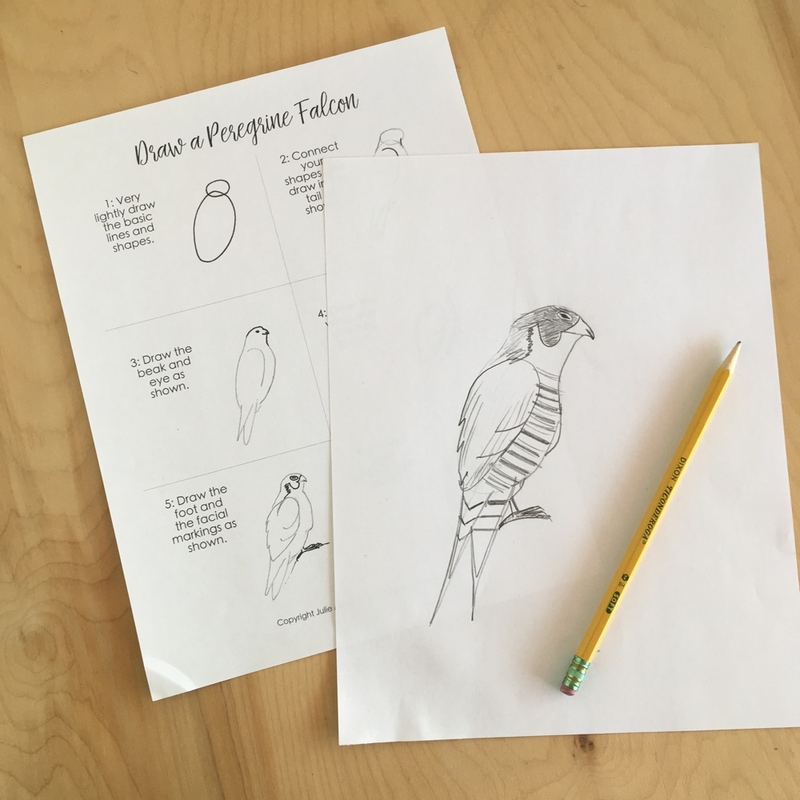 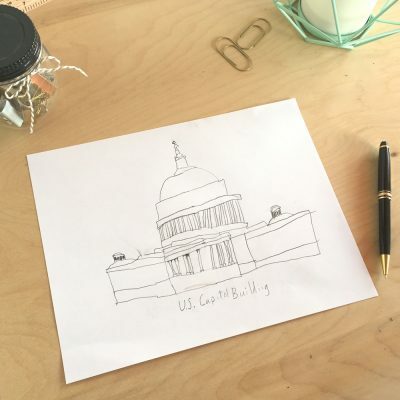 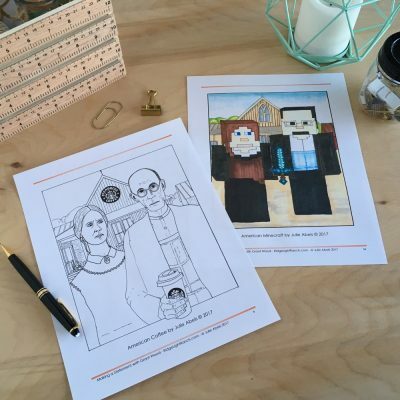 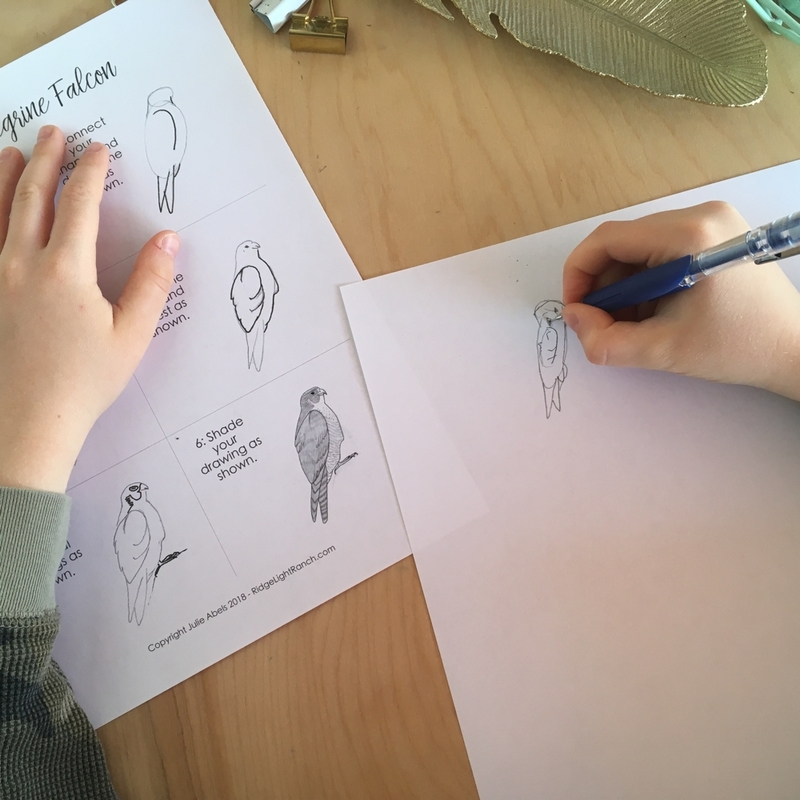 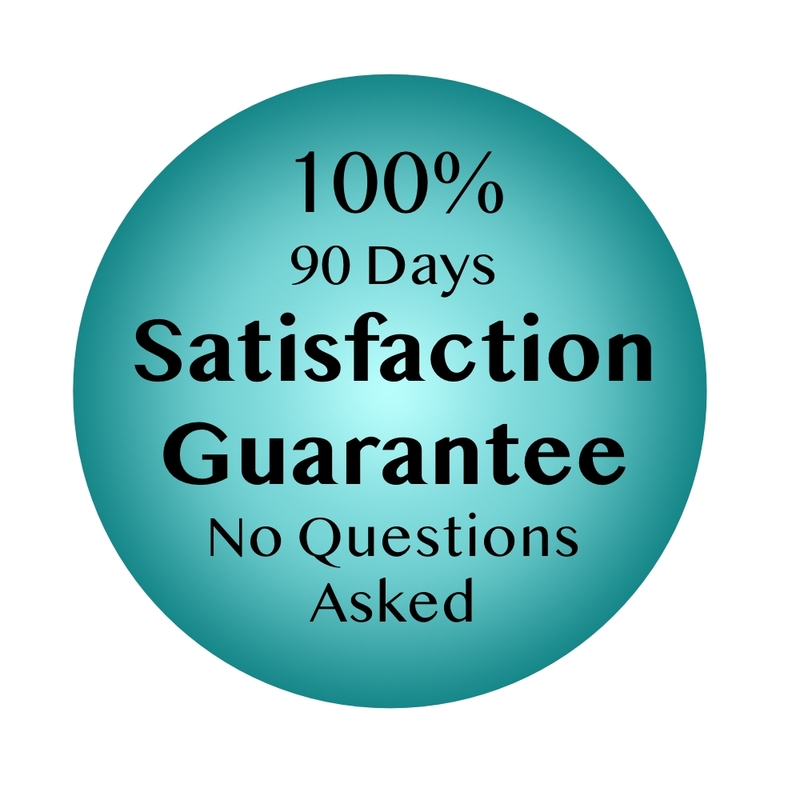 Two different step-by-step pictorial instructions are included to help guide students along in the drawing process. 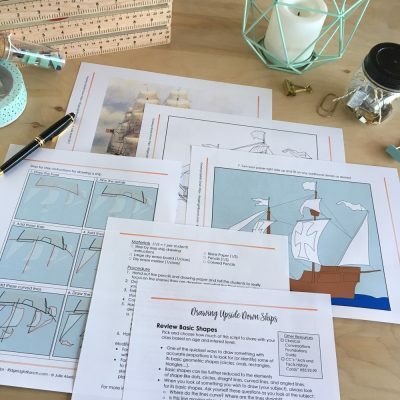 Since we study Ancient – Medieval History in cycle 1 of Classical Conversations, this project works great for the cycle 1 week 1, 30 minute fine arts lesson on basic shapes.